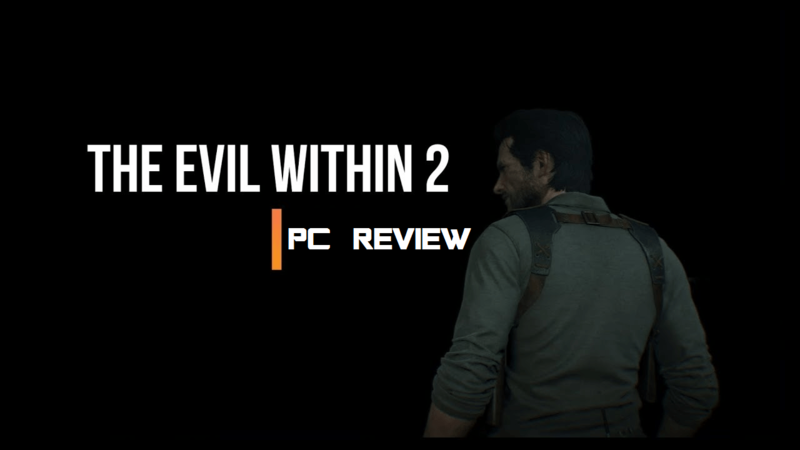 The first Evil Within PC port was questionable for many PC gamers as it had some issues surrounding performance mainly frame rates and stutter. Even on higher systems, the game simply wasn’t able to hit a solid 60 frames. I was able to complete the game with mix settings hitting around 30 frames in most parts on my old rig. The following was my experience with The Evil Within 2. For starters, my rig consists of i7-3770, 8 GB of Ram and Nvidia GTX 980. Everything was set to high with vsync targeting 60 frames at 1080p resolution. I realize I could get away with a few settings on ultra but for the sake of consistency, I set decided to go with high. There are a lot of graphical settings to change which is always a good thing since lowering a few of them may help stabilize the game for some. Besides PC gaming is all about options and this port feels like a proper PC game. Some are experiencing unstable frame rates with higher PC specs than mine when playing on 4K or 1440p so keep that in mind if your planning to gaming on those resolutions. I played the game using the Xbox 360 wired controller that worked perfectly out of the box and recommend playing the game this way if you can. Once the game booted, I was greeted with amazing visuals. Not surprising since this time the game was made to run on next-gen systems in mind. The frame rate throughout the whole game was around 57/60 stutter free even in the middle of the action. The lowest it dropped was around 45 in very rare occasions. Overall, the game performed well and was stable throughout my whole run. Keep in mind though I was running everything on high and consider my system specs. With that out of the way, let’s look at the game itself. Like I said, the visuals look way better than the first one which was created with the ps3 in mind. This time, the game runs and feels like a next-gen game. The atmosphere is less creepy than the first one but the story and settings to make up for that. You start in a town called Union. A calm place it was until things went south and all hell broke loose. With Union falling apart, you were brought in and sent inside to find the core which also happens to be your daughter. As you progress, you learn more about union through interactions and hidden files progressing through little by little but enough to keep you coming back for more. There are a few Easter Eggs about another horror game but I will leave it at that. The town atmosphere adds the element of an open world game but does restrict you in ways of story progress. Think of it as the first Silent Hill game on the PSone. And just like the first game, you do have the option to upgrade your weapons and abilities which includes new takedowns and better character handling. The upgrade part may be little confusing at first since character improvements and weapons upgrade are done from two different locations. The first can only be done in Sebastian’s office while the later can be accessed anytime in your inventory as well as at Sebastian’s office and safe houses. Speaking of Safe Houses, a few locations allows you to regroup by saving your game and gather useful items inside. You can also access character and weapons upgrade. Such locations are marked on your map once you visit them once. You will know you are entering a safe house as its door will have a special marking. Basically, they are Save rooms from the earlier Resident Evil games. The game is kinda relaxed at boss fights so don’t expect anything crazy. That’s not to say the ones that you do encounter are not fun as they are and do add to the atmosphere. There are a few side missions which consist of mostly finding ammo and items as well as doing a small favor for others. Use your map and radio to find them. Overall, the creepy town atmosphere combined with great engine makes this an enjoyable ride. So I guess the final question is; is this game worth 60 bucks? Yes if your a horror fan and liked the first game. Defiantly grab it once discounted on sale. So that was it for my PC version review. Check out my performance test video on my other channel Adam3k3 Plays.